The success of facial aesthetics in the last few decades has led to an increase in demand for hand rejuvenation treatments. Rejuvenation techniques for the aging hand are becoming more and more popular among people searching for non-surgical anti-aging treatments. 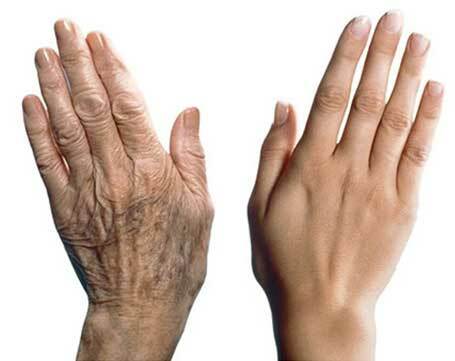 Forget crow’s feet and frown lines; believe it or not the second most age-telling feature of our body is our hands. Over time the natural aging process means soft-tissue volume is lost, hands become wrinkled and thin. Environmental factors also play a major role in the aging of hands. Things such as sun damage cause pigmentation issues that include age spots. Hand rejuvenation treatments can help improve skin texture and tone, and reduce sun damage and age spots. But, what is hand rejuvenation? Hand rejuvenation is exactly what it sounds like. Rejuvenation of the skin on our hands. The techniques available include creams to improve pigment irregularity, chemical peels to improve the overall appearance of the skin on the back of the hand and filler injections to make the hand appear less bony. With cosmetic treatments for the face – face lifts, dermal fillers, neck lifts and other facial aesthetic treatments – improving the appearance of the skin on our face, there is growing demand for anti-aging treatments that do the same for hands! The skin on hands, just like skin anywhere on the body, ages both internally and externally. External factors can be caused by sun exposure or chemicals from products, or perhaps recent work activities. Internal factors are things we consume and put into our bodies. They can be caused by lack of good nutrition, smoking, or diseases and cause the skin on the hands to become quite thin, which can make veins on the skin become more prominent. Sun exposure can also cause dark spot (Hyperpigmentation) and thin skin can appear wrinkly. The most common issue that patients are usually concerned about is the prominent visible veins. This can be treated by sclerotherapy. This is a treatment where a liquid is injected into the veins, which causes it to swell and stick together. Aged dark spots are also one of the things patients do not like about their skin. To combat this issue, microdermabrasion, or chemical peels can be used to clear these. As the years pass, skin on the hands thins, causing veins to become more prominent and liver spots to appear. Particular concerns are prominent veins and brown aging spots (liver spots). If you don’t have them yet, preventing them appearing in future is a relatively simple process – wear sunscreen. Sunscren with a high SPF factor ensures skin is protected from ultraviolet rays, which cause skin pigmentation and age spots to appear. If age spots have already started to appear, or you’ve had them for a while, this method won’t be much help. There are a good number of prescription creams that you can use which will help – you will be looking for products containing glycolic acid. This exfoliates the skin, diminishing age spots as well as other undesirables, such as wrinkles. However, this can leave temporary marks on the skin after exposure while it works. If you choose this method, moisturising the skin afterwards is recommended. Aesthetics of Essex offers a couple of professional treatments to help with age spots and hand rejuvenation. One is a chemical peel, which dissolves dead skin, allowing new skin to rise to the surface and fade the appearance of age spots on the face. Our laser treatment is also available. It uses laser light to penetrate skin and scatters skin pigments in the affected area, removing the discoloration that the spots create. Alternatively, our Cryopen treatment can effectively remove sun spots and age spots.